Lastly, we’ve announced a new Wireless Keypad for PS3 that will make text communications and Web browsing much easier. 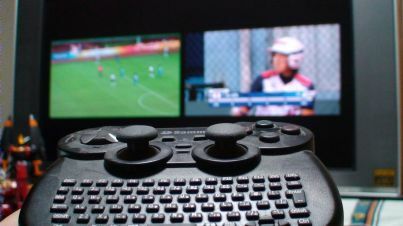 The Wireless Keypad snaps onto the top of a SIXAXIS or DUALSHOCK 3 wireless controller and comes with some cool features, including a mode that turns the main key area into a touch pad (similar to a touch pad on a Laptop computer). The Wireless Keypad will launch in late November. Last but not least, the Wireless Keypad is a Bluetooth device that can not only be used with the PS3 system but with any other Bluetooth enabled device that has Keyboard functionality. You will be able to use it with your smart phones and other portable devices that are equipped with Bluetooth.